The timeless design with the simple shape and restrained coloring of the ride-on bunny stand as a counter-trend to overstimulated toys. The used materials are durable and are specially certified for children safety and meet the highest environmental requirements. Rosemeyers ride on`s are playable for more than just one generation of children. Due to the used natural materials the ride on`s emit not only warmth and comfort – they also feel the same way to. In addition, the maintenance and cleaning is possible by simply removing the cover. They are suited for washing machines and dryers. The ride on`s consist of three components: the timber body, the seat foam and the cotton cover. If really once happened an accident, all parts could be individually replaced or repaired. Of course, all the ingredients were put through its paces. The plushes are woven by a German manufacturer, we only process regional wood and the oeko-tex-certificated seat foam is also produced by a regional partner. 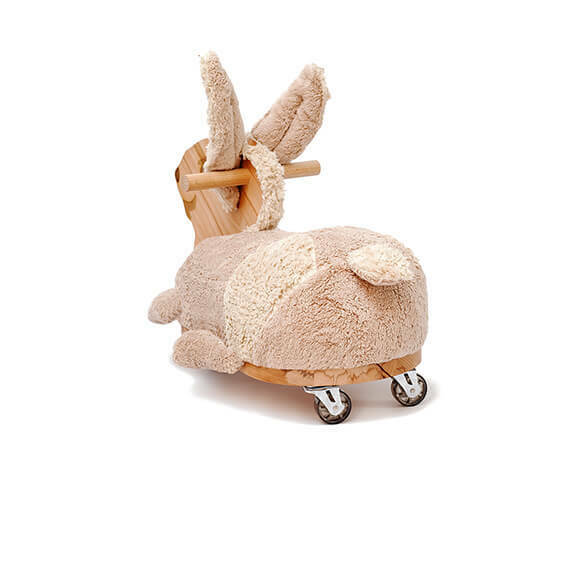 The 360° rotating casters gift your child maximum driving pleasure and train the sense of balance and coordination. 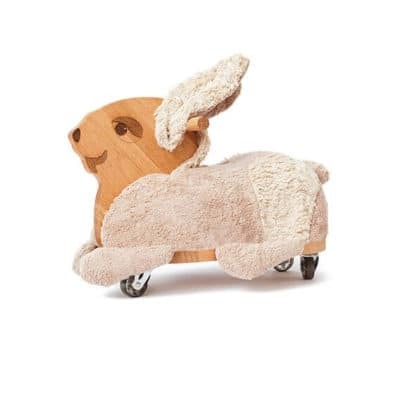 We recommend Rosemeyers ride-on bunny up from two years under adults supervision.